The Fence typically runs meetings twice yearly. These usually last between five and eight days. Put work on – in a scratch night form - work written, directed and acted by participants as a practical laboratory way of generating material, engagement, excitement, partnership and exchange. 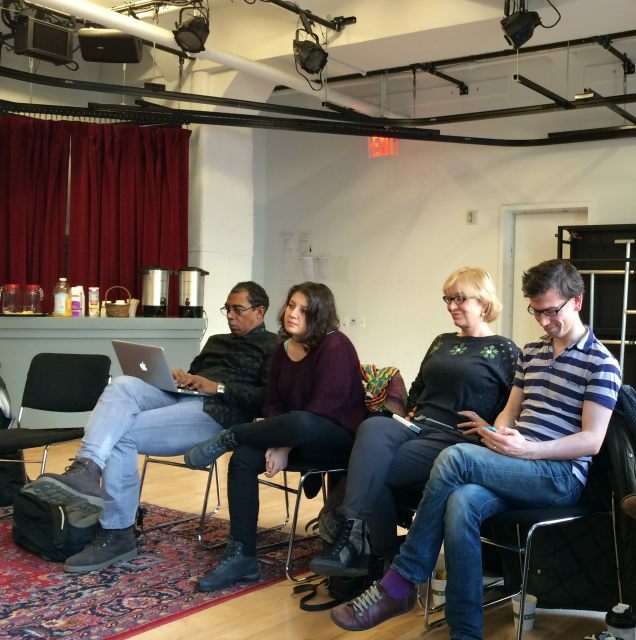 Make connections beyond the network; both to grow the number of countries represented beyond 40, but also to engage with a broader focus than just playwriting.